John D. Albert, a Salem Attorney, died August 27, 2017 at the age of 66. John was born in Portland, Oregon on May 17, 1951. In 1982, he married Claudia Budlong and together they raised three children. John attended Lewis & Clark College and graduated with a B.S. in Political Science. In 1976, he graduated with a J.D. from the University of Oregon College of Law. His legal career first took him to the District Attorney’s office in Multnomah County. 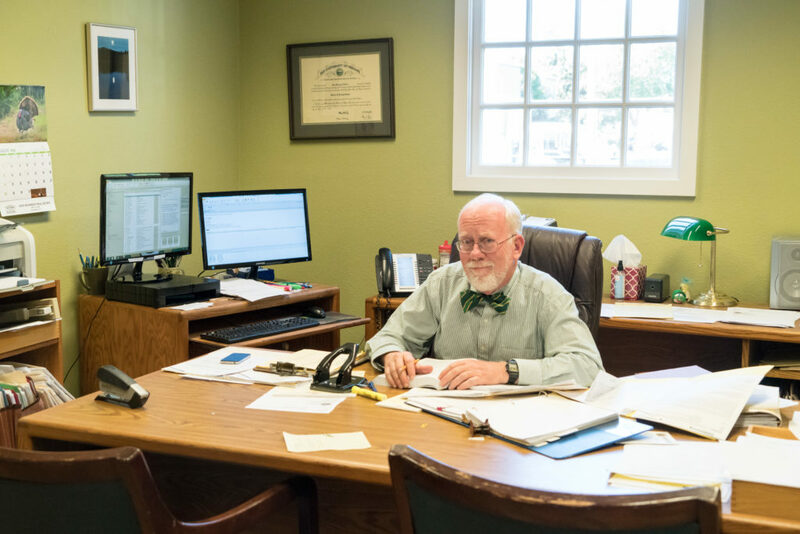 After brief positions in Klamath Falls and The Dalles, John took a position with the law firm of Churchill Leonard in 1981. In 1991, John and five other attorneys started the firm of Donaldson Albert Tweet Connolly Hanna & Muniz LLP. In 1997, John and Steve Tweet left to form Albert & Tweet, LLP. When Steve retired in 2014, John joined the firm of Sherman Sherman Johnnie & Hoyt, LLP. He was a valued member of the SSJH team, being “of counsel” and assisting other attorneys with his extensive legal expertise. John’s practice emphasized agricultural and creditors rights issues; and he was deeply involved in the Bankruptcy Bar. In 2011, he helped author a law which added contract protections for the Oregon grass seed growers. John had many interest outside the office, which include camping, hiking, fly-fishing, gardening, and cooking, just to name a few. John is survived by his Mother Pearl Wakefield; his wife Claudia; sons Stephen Albert, James (wife Kaycie Albert); daughter Jena (husband Alex Ellison); granddaughter Payton Ellison; as well as many relatives, friends, co-workers and colleagues. John will be deeply missed by all.